TEMPLES ON MARS are a London based eclectic rock band formed of ex-members of Agent, Starseed and The Spindle Sect. Featuring James Donaldson on guitar/vocals, Gerald Gill on Guitar, Daz Carikas on Bass Guitar and Dean Gibb on Drums, Temples on Mars are about to present tunes in 2018 that are out of this world. Temples on Mars are here to present an accessible, progressive rock sound to Planet Earth and they are here to stay. James Donaldson says this about the relaunch of this new project. The name Temples on Mars was inspired by advanced ancient hieroglyphs, which were supposedly created with the assistance of extraterrestrial beings, who helped to develop ancient Earth civilisations. These same beings are theoretically linked with the creation of structures and temples on the surface of Mars. 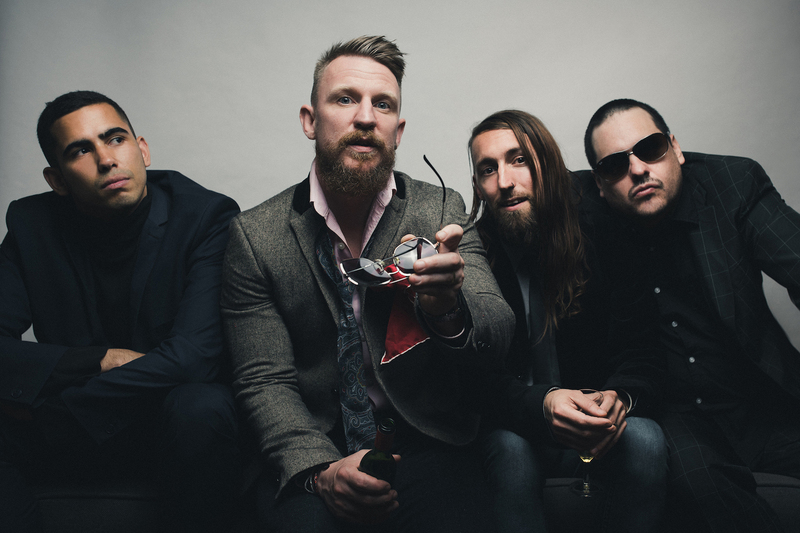 The band’s former projects from the outer edges of Planet Earth (New Zealand, South Africa, UK) have collated a formidable track record of achievements between them, having performed at the likes of Download Festival, HRH Ibiza, HRH Prog and Hammerfest, plus sharing the stage with Skindred, Ill Nino, Voyager, Devil Sold His Soul and more. 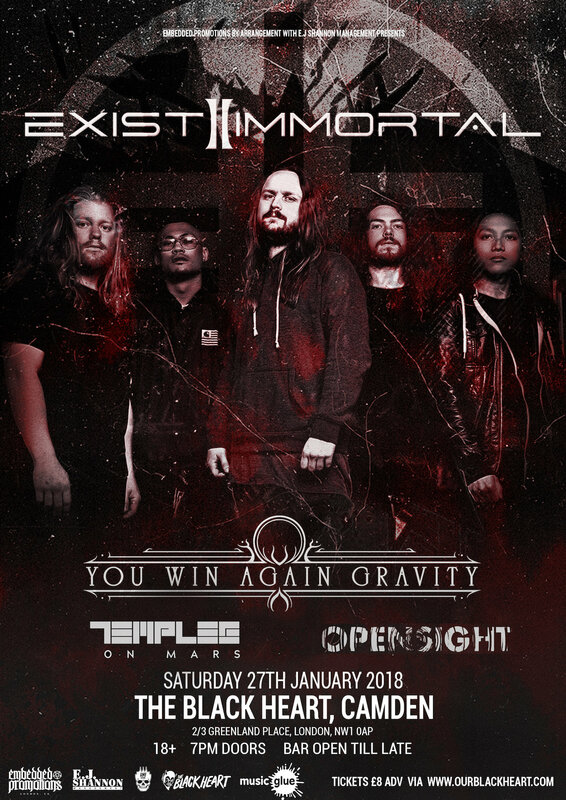 Media such as Metal Hammer, Prog, the BBC Radio 1 Rock Show and more have supported the band members’ past endeavours and Temples on Mars hopes to continue making their mark with the aforementioned tastemakers of the rock scene. Temples on Mars will release their self-titled debut album in 2018, which was recorded by award winning producer Paul Matthews (I Am Giant) and mastered at Mix Berlin in Germany. Temples on Mars will bring a seismic performance showcasing new material and making their mark on what is set to be a great year for the band.